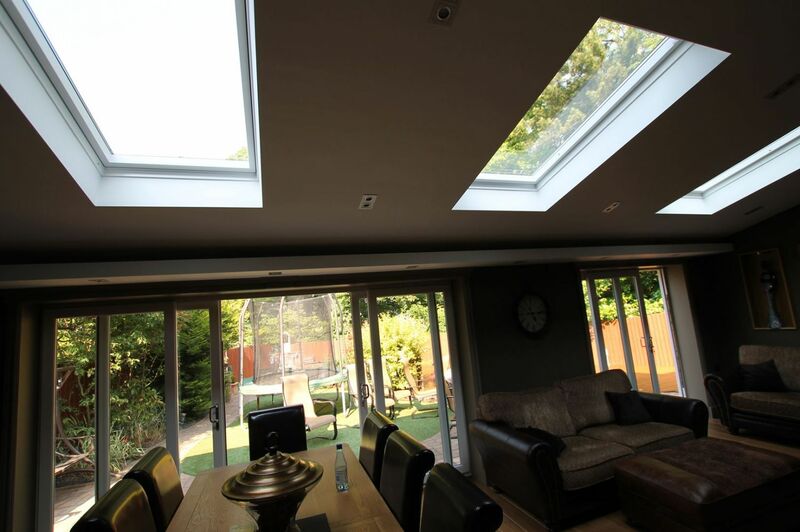 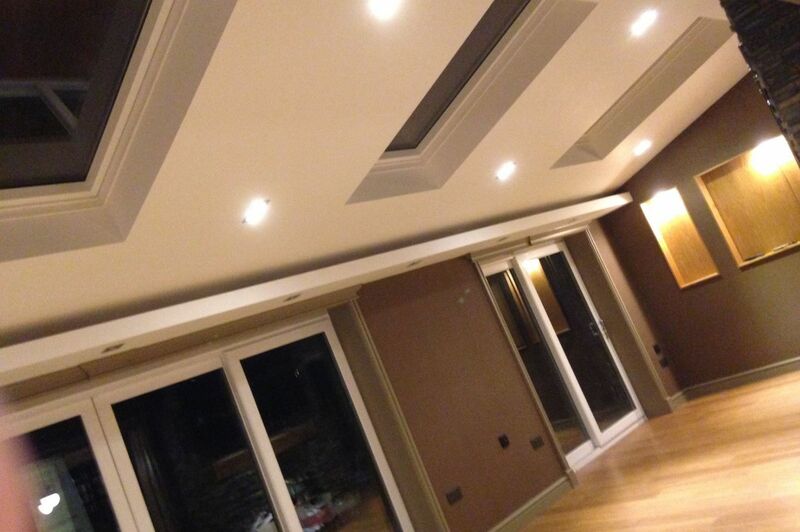 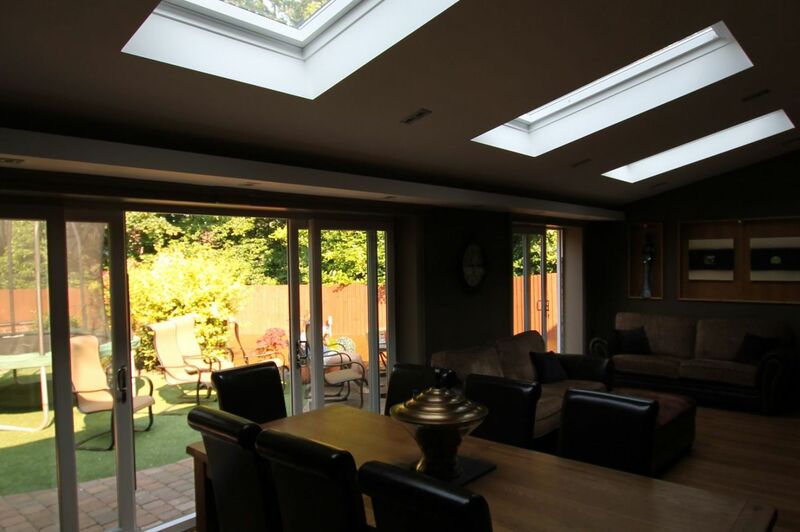 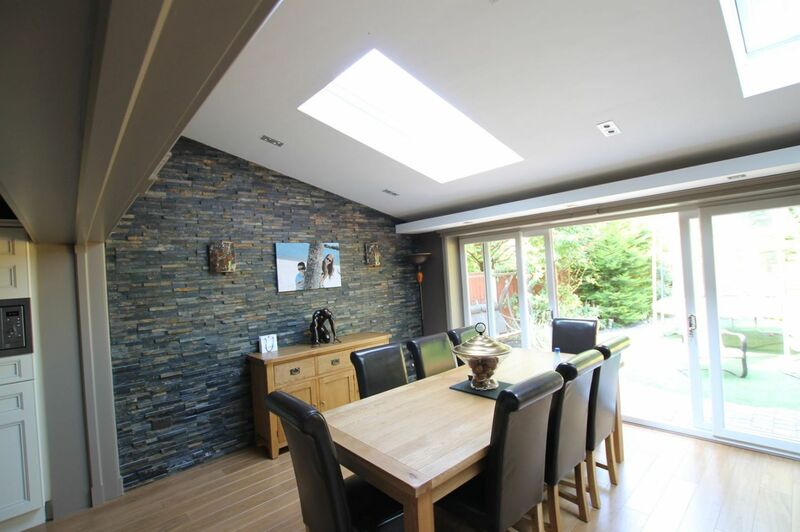 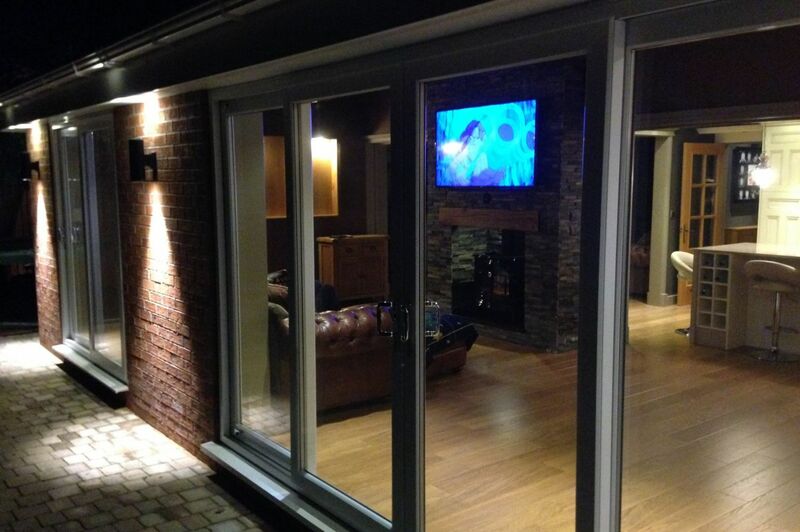 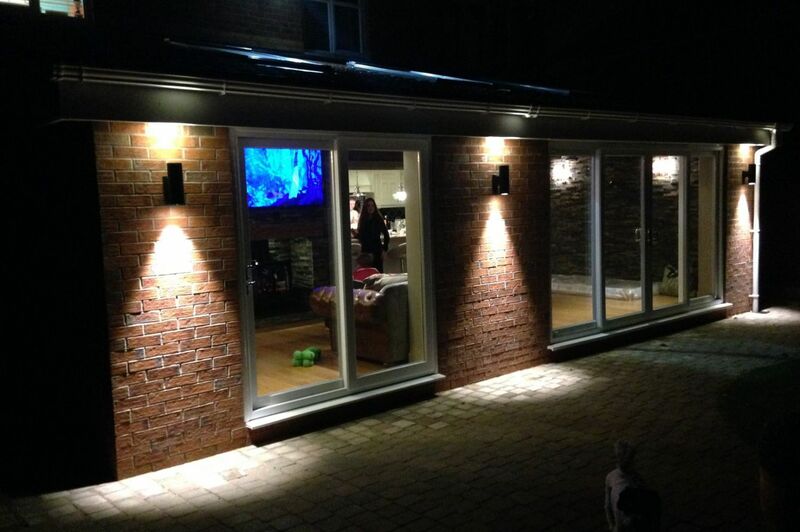 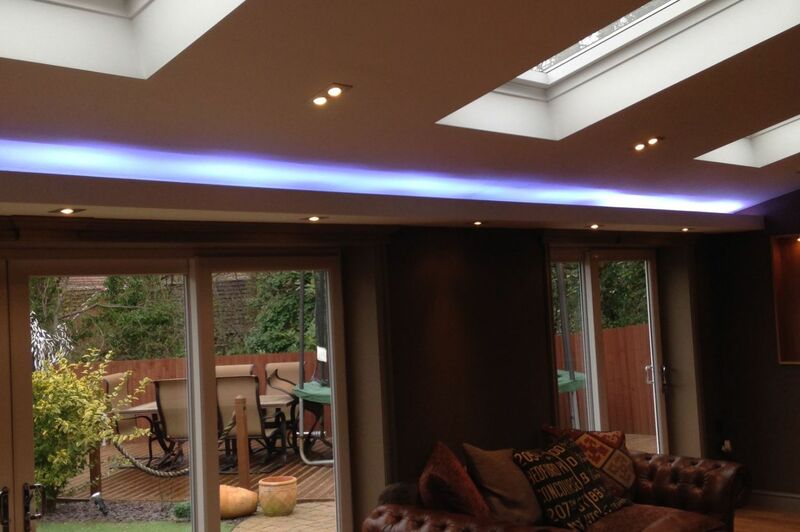 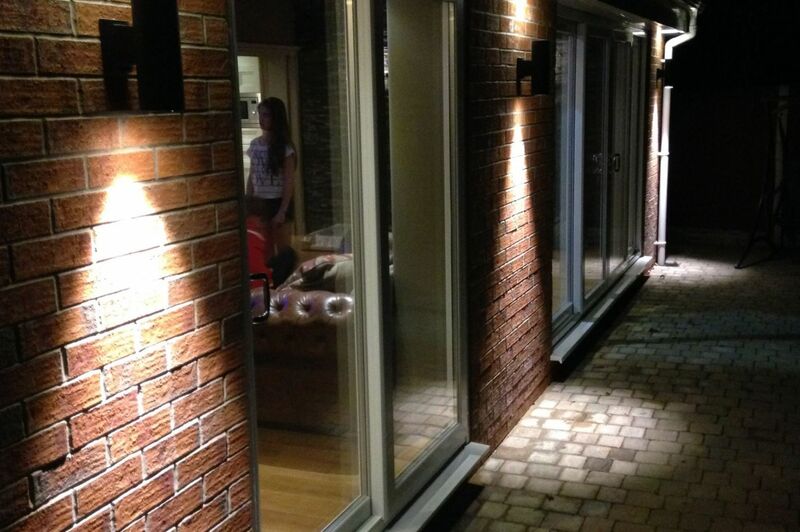 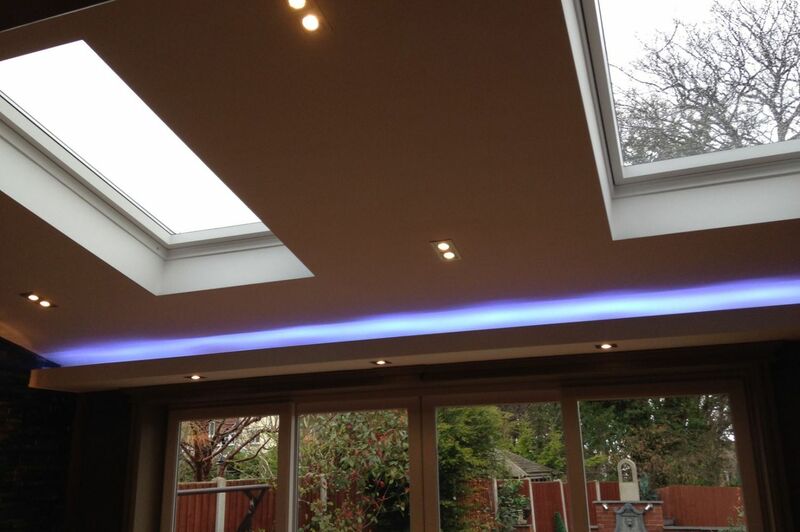 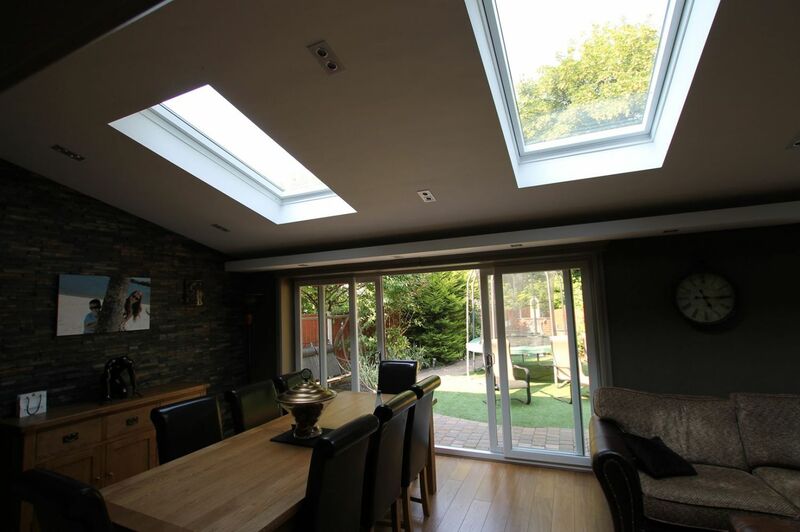 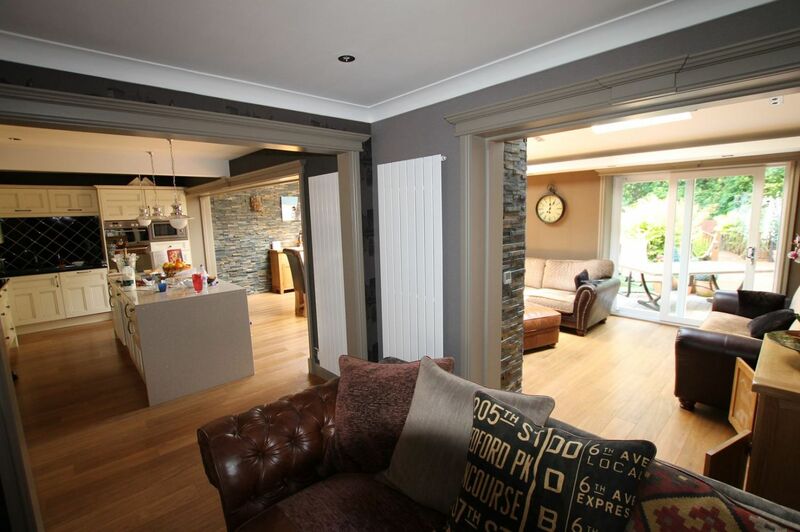 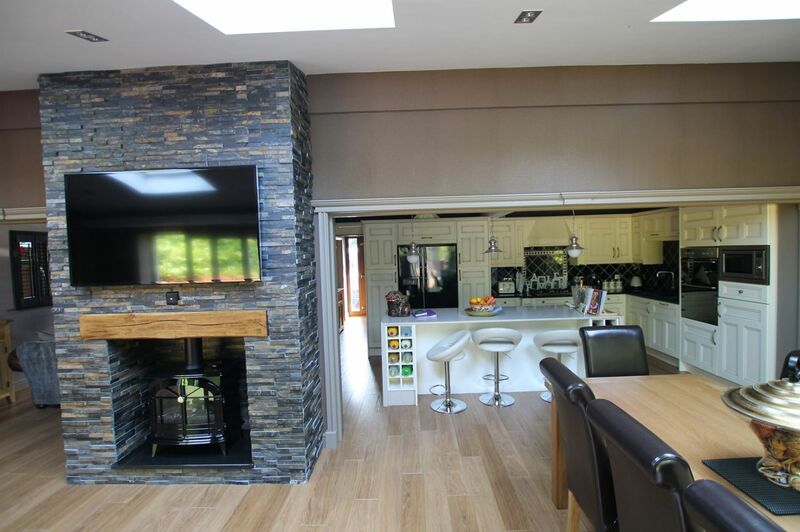 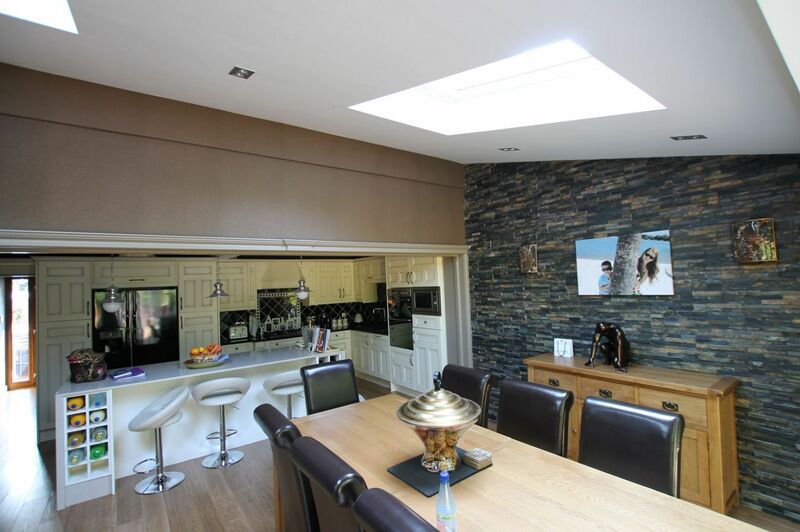 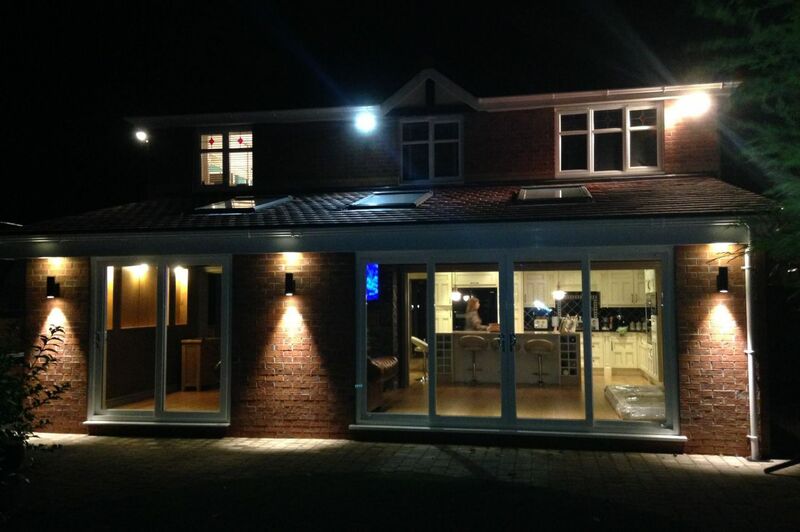 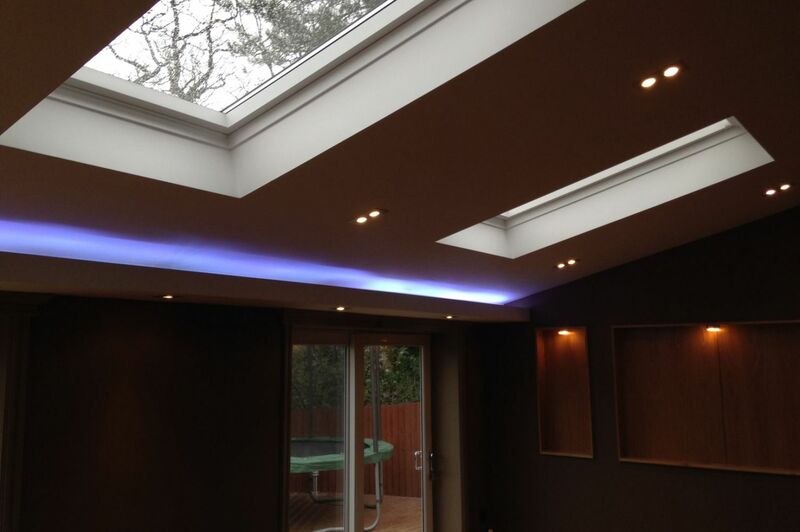 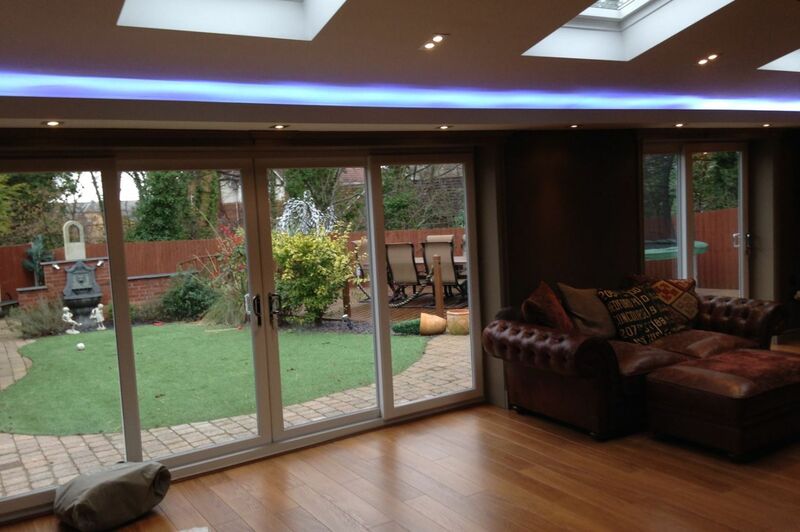 This series of property extensions in North Wales transformed this House into an open plan home by the addition of great dining / family Room extension off the kitchen. 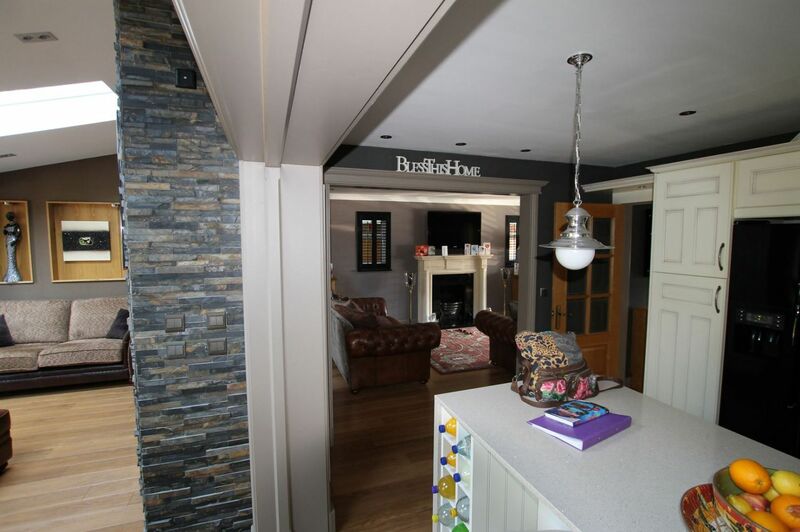 Fine details were added such as timber framing the door jambs and openings, and forming Pelmet Lighting to name a few things. 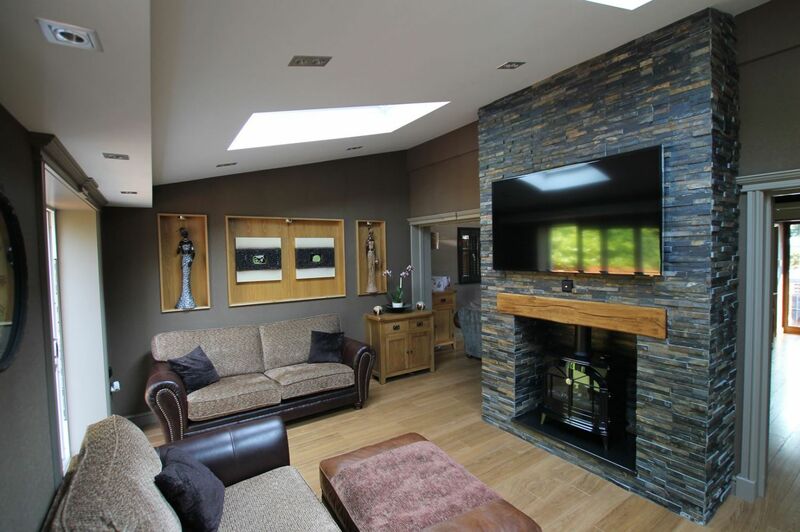 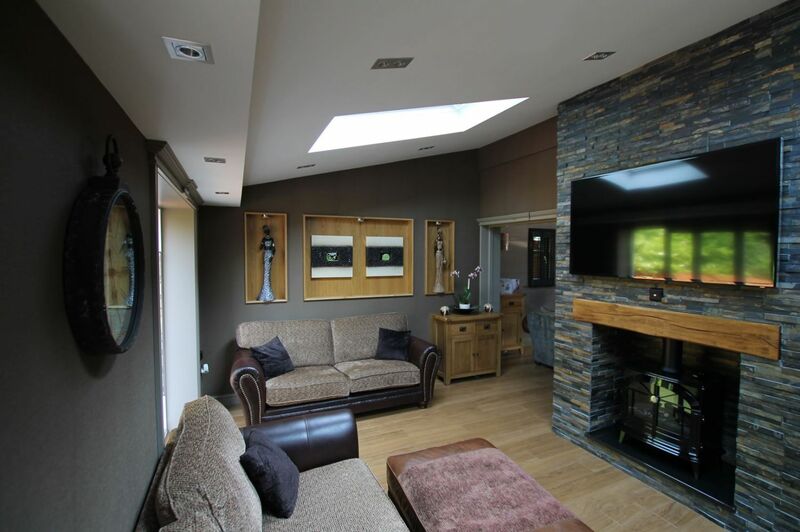 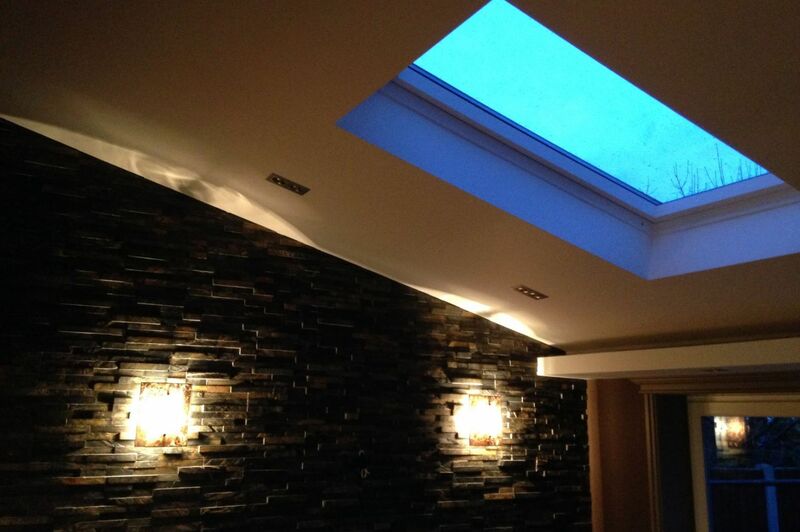 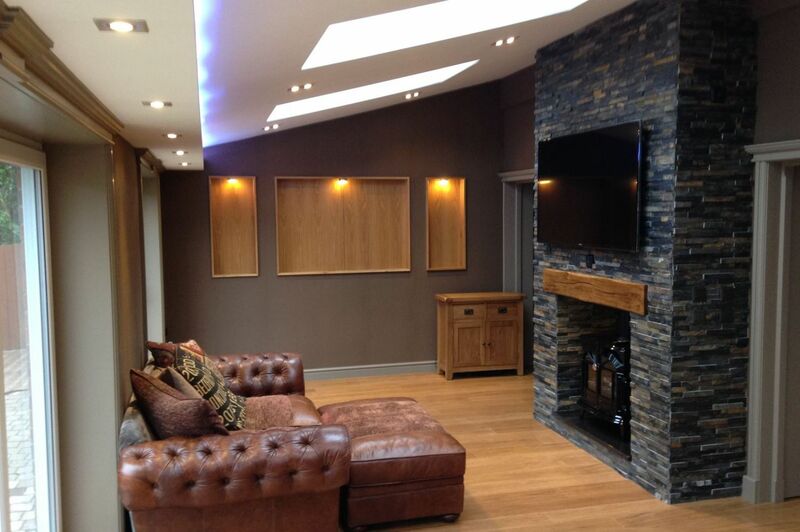 The slate cladding on the fake chimney stack and bable wall give the room a nice feature.